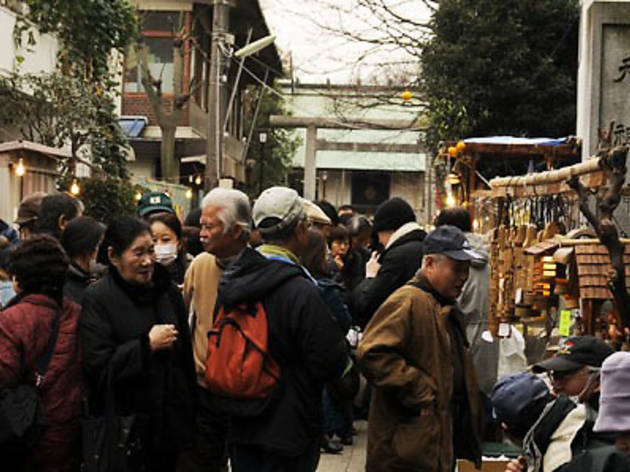 Boasting more 400 years of bargaining history, Setagaya Boroichi is one of Tokyo’s oldest flea markets. As such, it attracts tens of thousands of visitors each year, taking place over two weekends: the first in December, and the second this coming weekend (January 15-16). 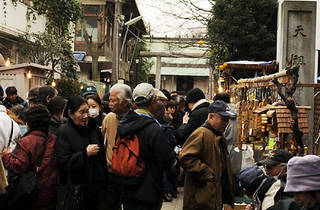 The market centres around Boroichi Dori, where upwards of 700 stalls flog everything from antiques to daikan mochi, a rice cake traditional to the event itself. Time Out Tokyo recommends hopping off the train at Setagaya Station (Setagaya Line), working your way along Boroichi Dori, then leaving from Kamimachi Station. It’s worth knowing, too, that the Setagaya Line is one of Tokyo’s smaller routes, more like a tram than a train, and tickets can be bought either from the kiosk or on the vehicle itself - if you choose the latter, have the fare ready beforehand: 140 yen for adults, 70 yen for kids.